Tourism Stakeholder inclusive of Hoteliers and Taxi Operators Joined Officials for the Opening Of The Nevis Tourism Authority Visitor Centre. 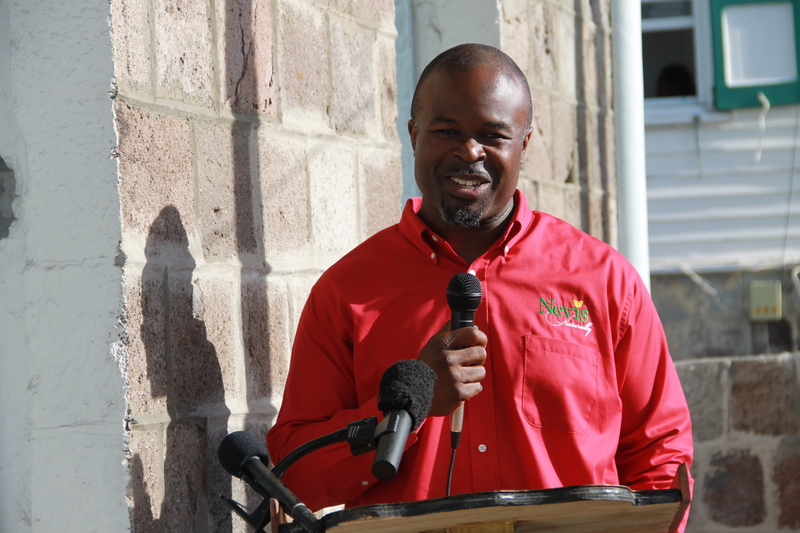 Chief Executive Officer of Nevis Tourism Authority Mr. Greg Phillip delivering remarks at the opening ceremony of the Nevis Tourism Authority Visitor Centre. 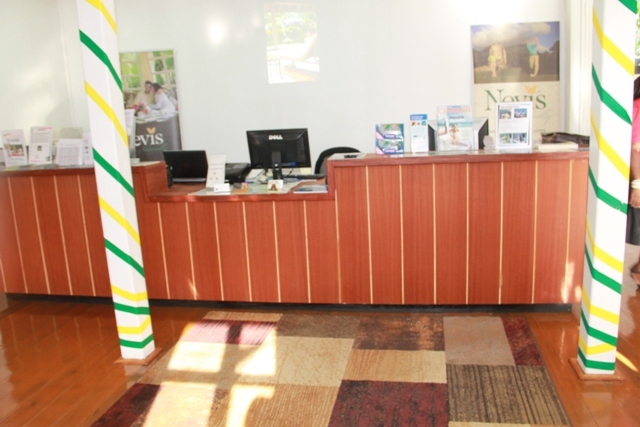 NIA CHARLESTOWN NEVIS (December 17, 2014) The Nevis Tourism Authority continued on Wednesday Dec. 10, 2014 its aggressive approach in promoting Nevis’ tourism product when it open its Visitor Centre at the Arthur Evelyn Building, Charlestown. Stakeholders in Tourism, which included hoteliers and taxi operators along with officials of the Nevis Tourism Authority, attended the event. “It’s another step in all that we have been trying to do as a Nevis Tourism Authority to be ever more helpful and useful to the Tourism industry on Nevis. What we have today and why we’re here is essentially to open our visitor centre.”he said. Phillip explained that the centre is there to serve the public as well as visitors to Nevis and that it would ensure the Nevis Tourism Authority is as helpful as possible to all stakeholders in Tourism. 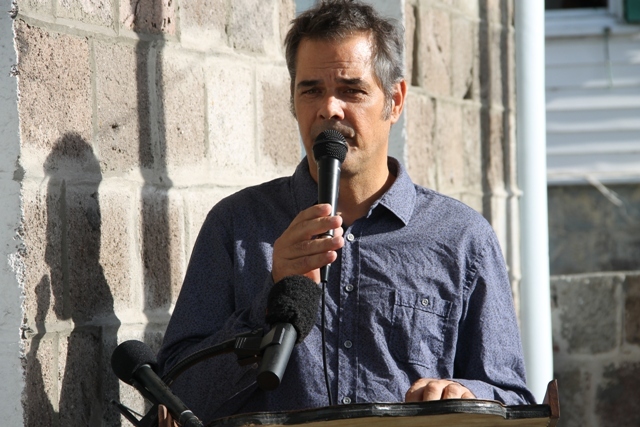 The Chairman Of the Nevis Tourism Authority Gary Colt also spoke at the ceremony and he took the opportunity to thank everyone who contributed to the successful opening of the centre. Minister of Tourism Hon. Mark Brantley expressed that he looked forward to the many uses that would be provided to the tourism industry by the centre. ” I certainly look forward not to just the centre but it’s use by our taxi drivers, by our visitors to the island, by our hoteliers and if what I heard lives up to its billing, it will certainly become a one stop shop for those who are visiting to come in to and learn about the island, learn about activities and so I encourage one and all whose involved in this critical industry to use the visitor centre, to be a part of it and really to take us to the next level. That for us is very important,” he said. 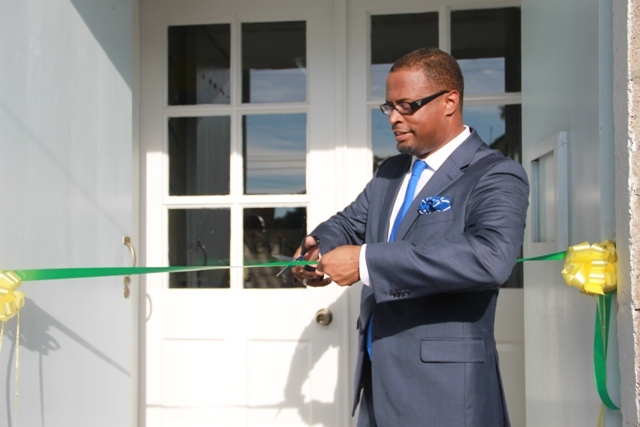 Mr. Brantley had the honor of cutting the ribbon to officially open the Nevis Tourism Authority Visitor Centre. 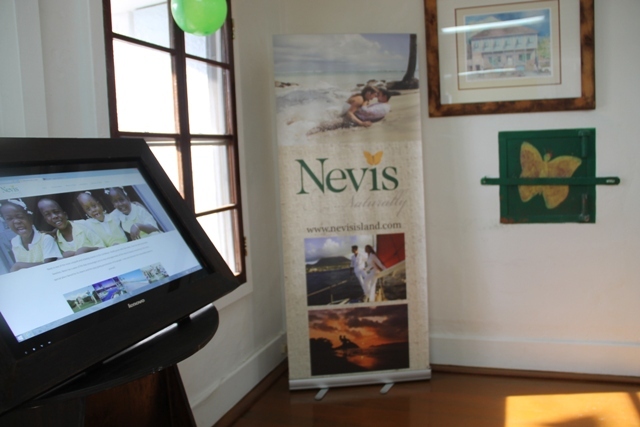 ourism Stakeholder inclusive of Hoteliers and Taxi Operators Joined Officials for the Opening Of The Nevis Tourism Authority Visitor Centre.